I really enjoyed these comics, published today by the hilarious folks over at Dorkly. 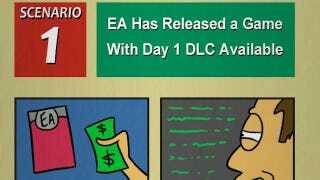 No matter how you feel about video game publisher Electronic Arts these days, hopefully you can appreciate the ribbing. Head over to Dorkly for the rest!